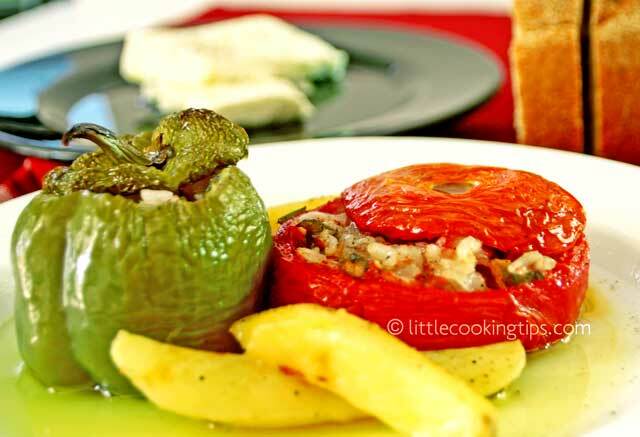 ﻿ Authentic, rustic, vegetarian gemista recipe: the delicious Greek recipe for stuffed tomatoes and peppers! Photos and text by Panos Diotis and Mirella Kaloglou. This is one of the most popular Greek dishes. Gemista (or Yemista), are stuffed vegetables; This is actually what the word means (from "gemizo", meaning "stuffing"). The most common version of this delicious recipe, includes two summer vegetables: stuffed tomatoes and green bell peppers. Other vegetables that are frequently used, are the zucchinis and the eggplants. It is also common to add wedged potatoes in any baking pan full of gemista. The stuffing is usually consisting of rice and herbs, along with extra virgin olive oil. Some people also add ground beef in the stuffing (mostly in Central-North Greece), which ourselves do not prefer. The traditional version, is a vegan recipe, and doesn't include any meat. The rice used, must be a rice rich in starch, so use short or medium grain rice only. You can also use Arborio or Carnaroli which are high starch Italian varieties. The most common herbs used, are parsley, spearmint or both. We 've read about versions of gemista with oregano, and you can try it sometime, but we definitely suggest the spearmint, for its amazing flavour. Gemista is one of our favourite summer recipes, and is a Greek comfort food as well. Every family in Greece has cooked gemista, and it's common to see a baking pan with gemista, served as the main dish in family gatherings. When in the oven, the amazing aroma of the stuffed peppers and tomatoes is filling the room, making it really hard to wait until the food is ready! If you have kids, it may be hard to keep them away -yes!- from a vegetable dish! Gemista is an easy recipe, it just takes a bit of practice in removing the flesh from the tomatoes. But once you try it, and empty one or two, you 'll see that it's easy! It's important to note here, that this is also a healthy recipe, and it has an essential role in any Greek-Mediterranean diet during the summer. 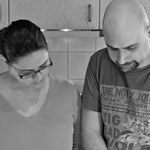 So let's start cooking this beautiful Greek cuisine dish! * Prefer fresh, juicy -and most importantly- ripe tomatoes for this recipe. ** Always take into account that you'll need about 1 tablespoon per tomato/pepper. Wash and cut the tops of the tomatoes, creating a kind of "lid" that will be used when they are put in the oven in the next steps. Make sure to keep each top and each tomato shell close, so that you have your pairs ready for stuffing. When the top is removed, use a sharp teaspoon and carefully remove the flesh from inside of each tomato. Put it in a large bowl. Be careful not to tear the skin of the tomato when removing the flesh. You need to keep the external layer of the tomato intact (a bit less than 1cm / 0.3-0.4 inch thickness). Sprinkle with a little salt and sugar inside each tomato shell. Turn the tomato shells upside down (hole side down) and let them drain from their juices inside a medium-large baking pan (just choose one where the vegetables fit nicely). Leave the tomatoes to drain, and move on to the peppers; cut their tops as well. Cut and discard the stems with the seeds from the lids and wash them inside to remove any seeds. Keep each top again, close to each corresponding pepper shell. Empty the bowl with the tomato flesh in a food processor and add the eggplant, the onion, the spearmint and the parsley. Give it a couple of bursts (about 2-3 seconds each); you do not want to grate the materials completely into a pulp. Just a rough grating is what is needed. Empty the food processor back in the bowl, and add the olive oil, the garlic(optional) and the rice. Stir well and add salt and pepper. Add less salt if you 'll serve the gemista with feta cheese. If you are vegan, add more salt, as you will not have the feta on the side. Turn the tomatoes, hole side up, and add the peppers in the baking pan as well. Spoon the mixture from the bowl evenly into the tomato and pepper shells. Do not fill the vegetables all the way up. Leave at least about 1cm (0.4inch) from the top, as the stuffing will expand during baking. Put the tops (lids) of the tomatoes and the peppers back on, add the potatoes, pour the olive oil on top of all of the vegetables, sprinkle with salt and put the baking pan into the oven, in the middle rack. Bake for 1hour and 15 minutes in 200 degrees Celsius (390 Fahrenheit), in convection (fan assisted) oven, until both the veggies and the potatoes are cooked through. The potatoes take longer to cook, so when they nicely roasted, the rest of the food is ready as well. Serve with fresh bread. If you are not a vegan, you can also serve some feta on the side. Kali oreksi! 1. It's best if you don't cook this recipe during the winter. The tomatoes and the peppers have a much better taste when in season and this is a summer recipe. Only during summer you can expect to find tasty, ripe tomatoes. 2. Prefer organic tomatoes and peppers for this recipe, as they usually taste much better. 3. If you like, you can also stuff some eggplants and zucchinis, but the technique is quite different and it is actually a much different recipe. This looks so colorful, yummy and healthy. Thanks for all the info, so nice to know about different culture. Thank you Asha, it really is yummy! We hope you 'll like it! We loved stuffed vegetables. I haven't made any this summer. Thanks for the reminder. Looks delicious. 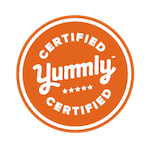 Thanx Judee, they are definitely a great choice for a delicious summer meal! (And also gluten-free! ).